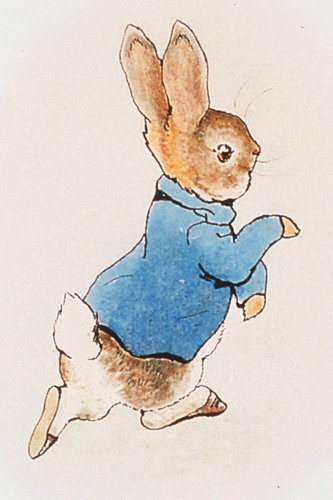 In the list of most loved animal characters Beatrix Potter’s Peter Rabbit is a big favourite, with books about this mischievous young rabbit making popular bedtime reading for several generations of children across the world. Her books are translated into over 30 languages and have sold over 100 million copies worldwide. However, the launch of a new Peter Rabbit film in Spring, 2018 attracted a different kind of attention from allergy organisations around the world for a scene which showed Peter in a new, and not quite so attractive light. The story behind the scene was the attempt by Peter and his friends to cause harm to their enemy Tom who had been trying to get rid of the rabbits in his garden. In an attempt to hurt Tom they fired blackberries into his mouth knowing that Tom was highly allergic to the fruit. As a result Tom collapsed and had to inject himself with adrenaline, recovering very quickly before making his escape. Allergy UK and organisations around the world shared common concerns about the nature of this behaviour which showed the use of an allergen as a ‘weapon’ to purposely hurt an individual, as well as giving some misleading messages about the recovery period after a dose of adrenaline. Most concerning was the example it gave to impressionable young children, particularly in the light of reports of allergic children being bullied at school with food thrown at them, sometimes with fatal results. Sony Pictures responded to criticism very quickly with a statement which apologised for the scene saying that “we sincerely regret not being more aware and sensitive to this issue”. However no action was proposed to edit or remove the scene. Allergy UK issued a statement about its concerns in early February, suggesting removal of the scene, and media interest in this story resulted in Chief Executive Carla Jones being interviewed on nine BBC radio stations, including national station BBC Radio 4 and three major TV news channels – Sky, BBC and Channel 5. At the heart of our approach was our wish to make contact with Sony to explore how, through working together, we may be able to address the issue for the future, but also suggesting that this scene might be re-considered before the film’s scheduled release in Europe on 16 March. The first direct communication to Sony Pictures came in a letter from the Asthma and Allergy Foundation of America (AAFA) which represents 15 million people living with food allergy in the US. This organisation’s considered approach explained aspects of food allergy and offered Sony help in its portrayal of this condition in the future. A similar approach was made by Allergy UK to Sony Pictures representatives in both the UK and the US. This received no acknowledgement. In a final collaborative attempt to connect with Sony on the issue eighteen leading allergy organisations from around the world (including EFA) wrote a joint letter to Sony acknowledging the company’s quick apology but reiterating their requests to consider removing the scene or, at least, the inclusion of a statement about the dangers of ‘allergy bullying’. The organisations’ concerns were summarised as follows: “The sequence in the film is presented to a young and potentially impressionable audience as ‘funny’, but could, in real life, have tragic consequences”. With no further response from Sony, the film was released around Europe in time for Easter, 2018 and the scene which depicted ‘allergy bullying’ remained. Social media responses to our concerns were mixed but, unsurprisingly, parents with allergic children were most alarmed by the scene’s content and would not take their children to see the film because of it. It is very silly and very dangerous to purposely throw food at someone with an allergy, even if you don’t like them very much. Imagine how horrible you would feel if that person stopped breathing because of some­thing you had done to them. People with serious allergies are often frightened of foods that make them ill. Please help by being kind and understanding and do your best to keep them safe. ·Please ask your friends to visit allergyuk.org to learn more about severe allergies. We hope that you will always take allergy seriously. So far, we have not received a reply! Please find the collective statement here.